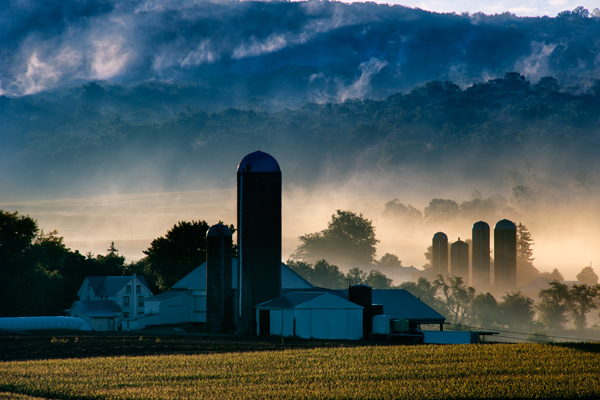 Fog creates layers in this farm scene as the rising sun begins to illuminate the day. A cold front moving in quickly on this morning eliminated this great fog in a matter of minutes,much to my chagrin.This was shot with a 400mm from across the valley. Mom takes the boys for a ride out to the mailbox to retrieve the mail. The keen youngsters heard my car slow up and turned to see what the sound was. A long lens helped get the shot. 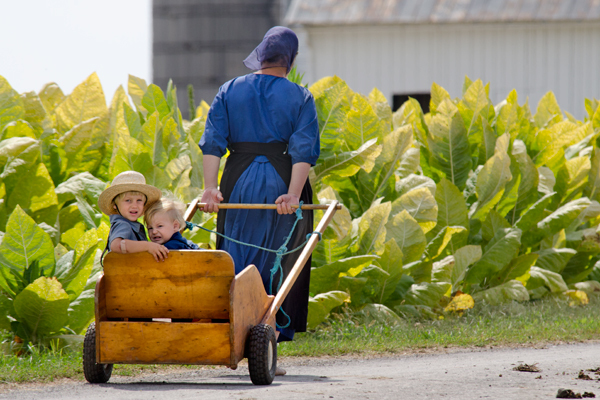 An older Amish man heads back towards the barn while a young whipper snapper guides an empty wagon up the field.Notice the bare feet on the closer driver. 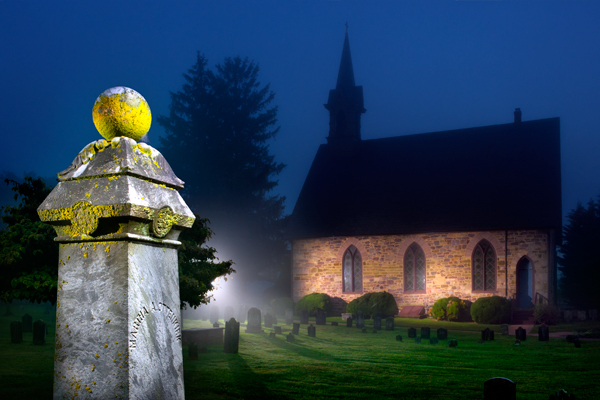 A foggy morning in a local cemetery provided an opportunity for me to try some light painting. Shooting my flash through the tree created rays of light in the atmospheric conditions. Each year around this time I find myself scanning the landscape for fall displays to photograph. 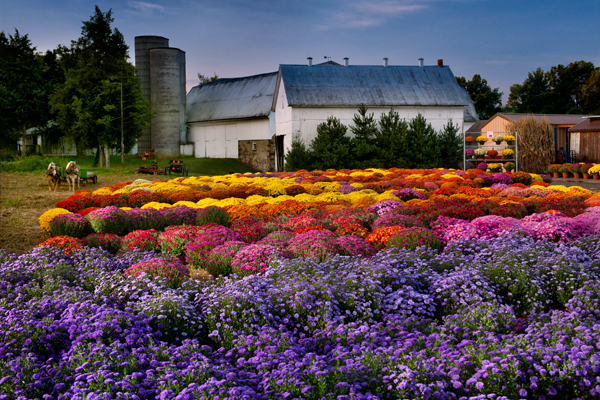 I passed this farm stand on my travels and stopped to get permission to try a shot. The owner was more than willing to allow the endeavor and said to stop anytime. 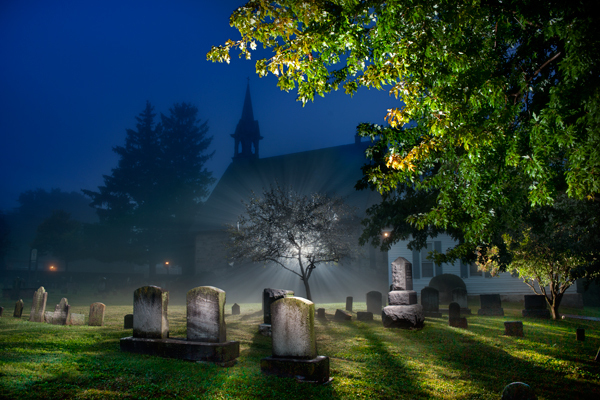 I decided to try a shot before sunrise this past weekend and assumed I would be there in the dark all by myself for a while, but to my surprise and delight,work was already under way in preparation for customers when I arrived. The owner was washing the driveway down,and to be honest I was originally going to crop the building on the right off my shot,but when the wet surface reflected the stand light,it seemed time to change my plan. So with sunrise still an hour away,I began to compose and fine tune things before the light got good. 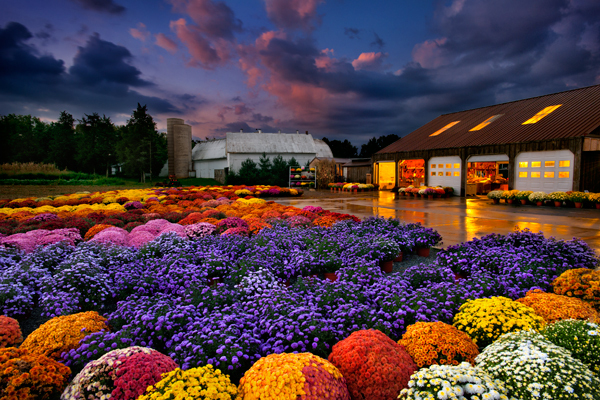 The gorgeous sky lit up first and lasted maybe 5 minutes,but that was more than enough time to capture it and the expanse of mums that stretch toward the barn. 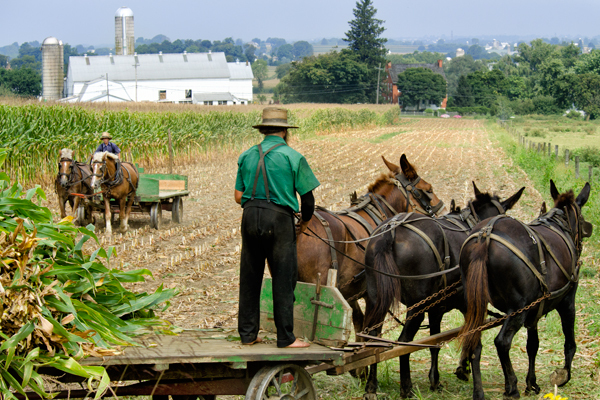 While I was waiting for the light to begin shooting, the owner pulled up with a large produce wagon pulled by two horses and he backed that wagon into the second door as easily as driving a car,which really impressed me. Between the sky,the reflection, and the mums,I was very happy with my result. 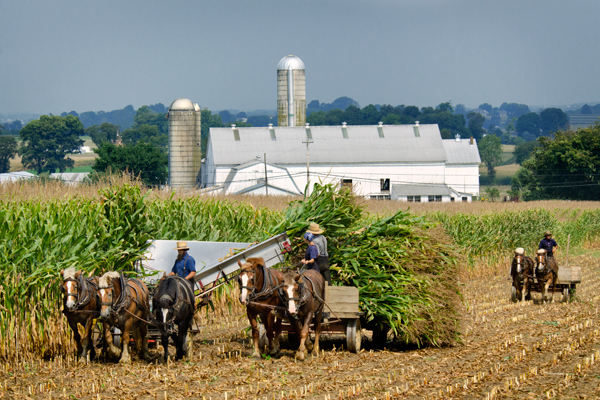 The bottom image is the angle I originally wanted to shoot for comparison and you can see the horse and wagon sitting in the field on the left.